Merry Christmas from the fossil fuel industry! Neighbors say flames were so bright they light the sky orange. The explosion was also so loud, they say it rocked their homes. “I went upstairs to change and get ready for bed. I came down and looked out the side window. 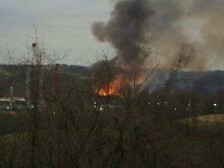 There’s a big ball of fire blowing up out of that thing,” neighbor Tracy Sampson said. New pipelines are to push fracked methane to export for profit, as fossil fuel industry analysts spell out, specifically describing a path from fracking through Williams’ Atlantic Sunrise and Transco pipelines and Spectra and NextEra’s Sabal Trail pipeline, and then naming Cove Point LNG export. 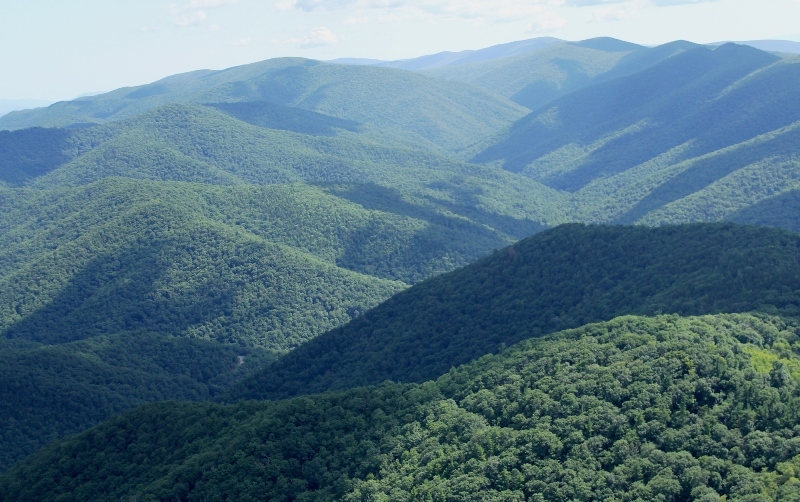 To find a market for both Marcellus and Utica gas production, existing pipelines are finding creative ways to move growing sources of gas, while new pipelines are proposed to take larger quantities of gas from large interstate pipelines such as the TRANSCO line. 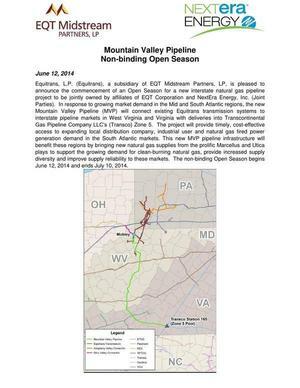 Williams’ new “Atlantic Sunrise” pipeline will connect Marcellus and Utica gas from its TRANSCO line. 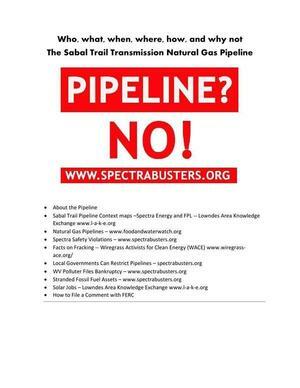 Sabal Trail LLC, a JV of Spectra and NextEra Energy have proposed to build the “Sabal Trail” pipeline, which would connect with TRANSCO. With the Federal Energy Regulatory Commission’s recent approval of the Cove Point LNG plant, it is not farfetched to imagine India or Japan producing electricity from Utica gas by the end of the decade. Pipeline objections from landowners, taxpayers, local and state government agencies, environmental groups, and historical societies caused mighty Spectra to “suspend” its unnamed $4 billion methane pipeline from Pennsylvania fracking grounds through Virginia to Duke Energy plants near the sea in North Carolina. Similar opposition can make Spectra and Williams and FPL and Duke think again about their proposed $3 billion Transco -> Sabal Trail -> FSC hundred-foot gouge through Alabama, Georgia, and Florida to three already-authorized LNG export operations in Florida. In which Williams admits subsidence can cause a gas pipeline explosion. 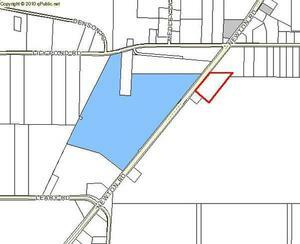 So does an even larger (36-inch vs. 12-inch) pipeline through the fragile karst sinkhole-prone limestone of the Floridan Aquifer for the Sabal Trail pipeline connected to Williams’ Transco sound like a good idea? Especially considering pipeline companies aren’t held accountable for the expense of their explosions, leaving local and state governments to pick up the tab?